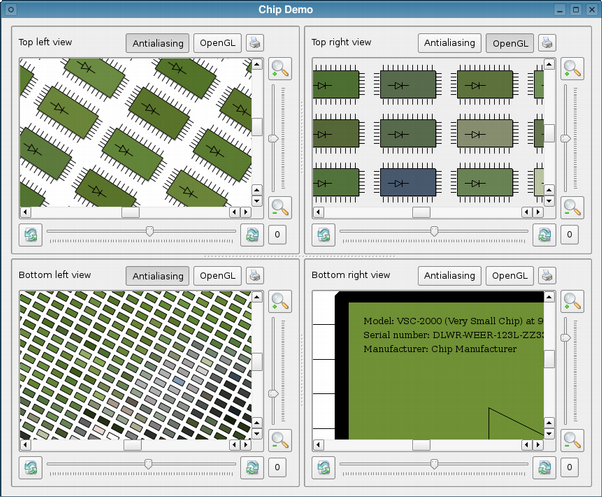 Qt provides powerful graphics engine that supports easy visualization of items, with support for rotation and zooming. Additionally it provides an event propagation architecture for interaction. These examples demonstrate the fundamental aspects of canvas programming with Qt. These examples show the use of graphics widgets and layouts. Demonstrates flow layout on a graphics view scene. Some examples demonstrate the use of graphics effects with canvas items.